Hey everyone. 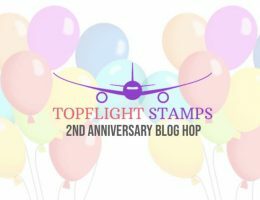 Today we are having the Technique Tuesday Blog Hop. So many of our talented design team members have projects to share with you today. 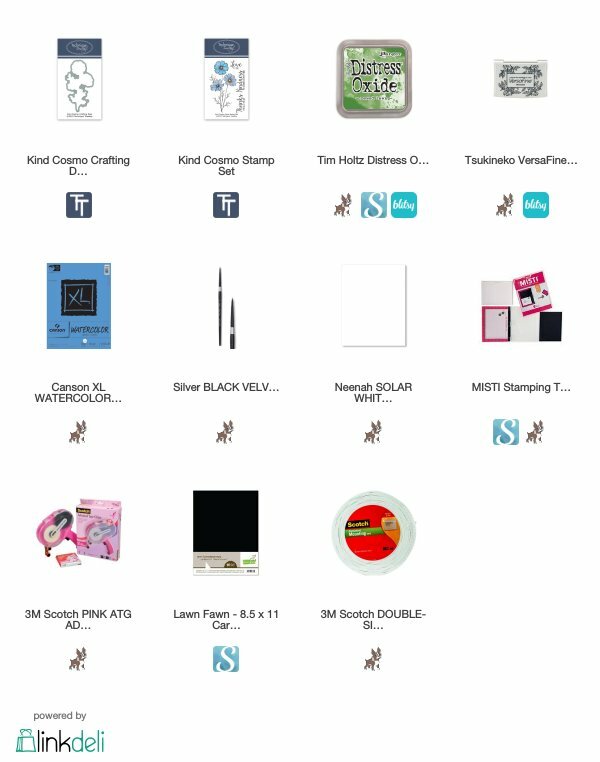 February products are live today so you can pick up your goodies after hopping through all the blogs. So let’s get started with the Kind Cosmo stamp set. 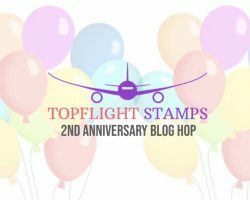 Remember during the Technique Tuesday Blog Hop you have a chance to win a great prize and you can also make your purchases today. That’s a win-win right? For my card today I used the Kind Cosmo stamp set and matching dies. 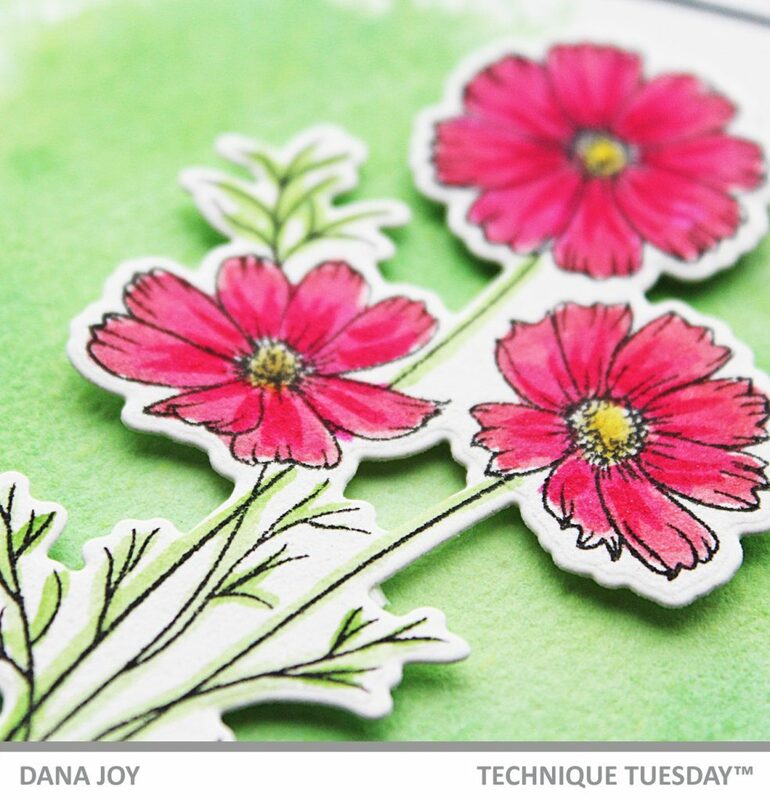 As you already know, Technique Tuesday features a beautiful floral stamp set everyone. I love the clean and simple lines of this month’s Kind Cosmo stamp. 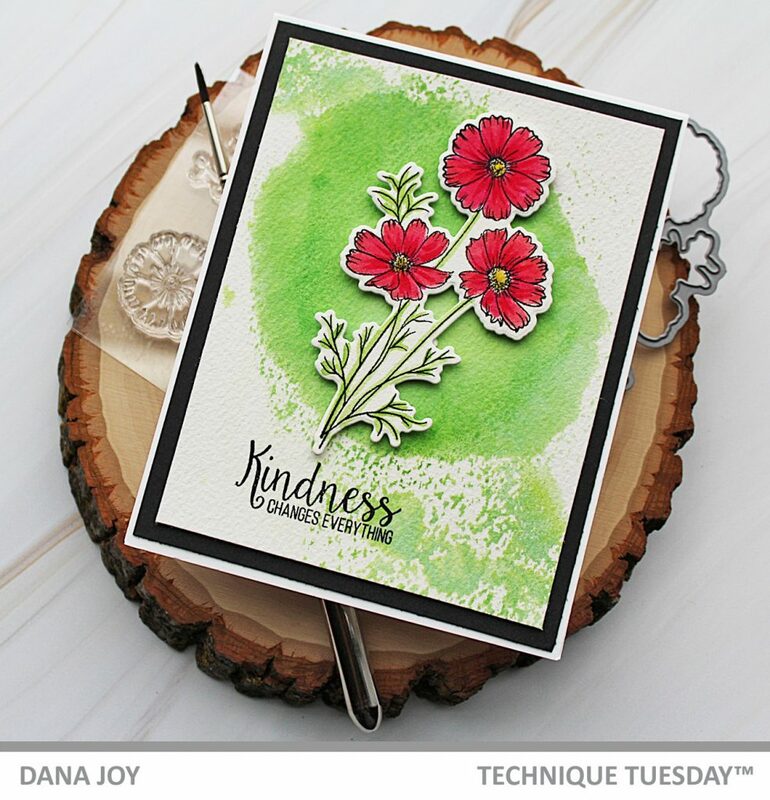 I stamped my image on watercolor paper and colored it in using distress oxide inks. Next I smooched some distress ink on a piece of watercolor paper in a random print so it gave my flowers a space to land on and it kept the background simple. I stamped one of the sentiments from the Kind Cosmo stamp set on this background piece and layered it over black card stock. I decided to pop my flowers up on foam dots for added dimension. 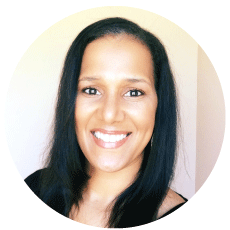 Now it’s time to hop on over to the other designer’s blog to see their lovely creations. Make sure you comment on each one of the blogs before February 2nd letting us know what you enjoyed about the sneak peeks, projects or post for your chance to win one of three $20 gift certificates to the Technique Tuesday store. We’re going to pick 3 winners from all the comments and announce the winners on February 5th. I’ll be back tomorrow with more inspiration from the Technique Tuesday February release. Have a great day. Oh Dana this is beautiful, loving the red & green. Thank you for sharing. So pretty! The red really pops! I’m not a card maker, but I would definitely use this stamp in my scrapbooking!! So pretty. Cosmos are one of my favorite flowers! This is going at the top of my wish list! What a beautiful card. 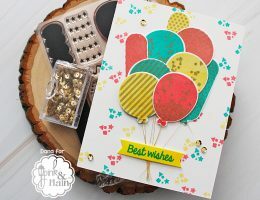 The kind cosmo stamp and dies make for a gorgeous addition to any stamp room. Dana I think your card is so very pretty. I adore Cosmos as they are such a “happy” flower & come in so many colours. I love the pops of red against that pretty green background. Thanks. This is a great release. Beautiful card! I love those pretty flowers! Great color combo! very pretty! love the stamp. I love these flowers and you picked such a wonderful color. I love that we can make our flowers any color we want! Love these flowers! Gorgeous color and background! (and I think I could color these! lol). I like how you colored not only your Cosmos’, but the background. It looks wonderful. I’ve never thought of watercoloring the stems of flowers. Nice job. Very pretty flowers and I like the colors and background. Sopretty, those flowers really pop! love the watercolor background, beautiful and bold!!! Absolutely gorgeous card. Love the flowers. What a gorgeous background! I love that green! I really like this flower stamp! 🙂 It looks great. Great work! Great colors! Love the inspiration! Hey! Beautiful, colorful card! Whats not to love here? Im on a mission to find that box! I love the look of flowers; I’m just really good at creating with them. I love the look of your flowers. They are beautiful whimsical watercolor flowers. I love the simplicity of the smooched color in the background yet it really makes your flowers pop. Very beautiful. 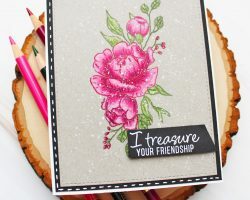 I love this stamp and die set your card is so pretty. Such a lovely card! Striking color palette and beautiful design. Love the way you colored the new stamp . love it! Love the way you colored the new stamp . love the new stamp. Love the new stamp. You did a nice way of coloring.